Seven episodes into its second season, the series has racked up more than 220 million views across eight of the country's largest streaming platforms. While the BBC gears up for the relaunch of its top-performing linear hit Top Gear, China’s own version of the show is already a roaring success, an accomplishment driven largely by online views. 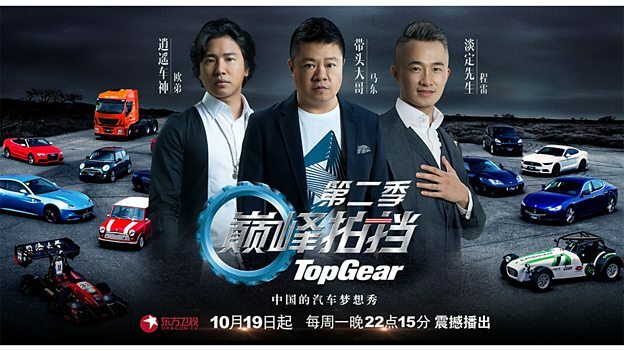 The second season of Top Gear China bowed on Shanghai Dragon TV on Oct. 19. The first seven of a run of 10 episodes has since racked up more than 220 million views across eight of China’s largest streaming platforms, including Tencent Video, Youku, Tudou, Baofeng, Letv, Iqiyi, Funshion and Sohu. Duncan Gray, Top Gear‘s commercial director with the BBC Worldwide, said the popularity of the show format, combined with the sheer size of China’s population, makes it the brand’s biggest export market yet. “The number of views for Top Gear China on digital platforms has been staggering and undeniably important to the continuing success of the show,” said Gray in an email exchange with StreamDaily. Gray noted the streaming success of the show has not come at the expense of the traditional broadcast, adding linear viewership is higher than it’s ever been for Top Gear China. Following the three-host format made popular by the original version, Top Gear China features Ma Dong, a well-known television personality in China across TV and digital platforms, including Iqiyi; Ou Di, a former pop star in his native Taiwan; and Cheng Lei, who made a name for himself as the host of reality shows such as China’s Got Talent and So You Think You Can Dance China. 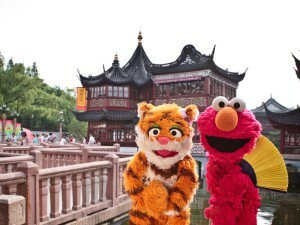 The opening episode, featuring a race between the three hosts across Shanghai, a wind-suit flight and a car challenge at Tianmenshan Mountain, was the second most-talked about topic across all Chinese social media. The fifth and latest episode of a run of 10 attracted the series’ highest audience numbers to date, at more than 11 million. The current Top Gear China season is slated to go out with a bang in the form of a Top Gear Live festival, featuring the local hosts. That event is scheduled to take place in Spring 2016 in Shanghai. Gray said the BBC continues to lend production advice to the Chinese team. 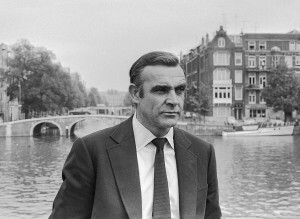 Crews who have experience in creating content for the U.K. show and other international versions of the program are also involved in crafting the series locally. “This is really important, as the ability to work together with our international partners is essential to helping create the very best content possible,” he said. Honyee Media debuted the first series in late 2014. 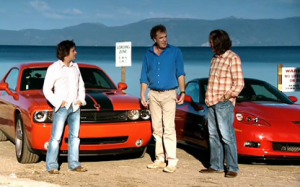 BBC Worldwide distributes Top Gear to more than 200 territories worldwide, and has licensed the format for local production in seven countries to date, including the U.S., China, South Korea, and France. Italy is slated to debut its own version of the series this coming year. Top Gear is considered the most popular factual linear program in the world, with an estimated global audience of 350 million. Across online channels, Gray said catch-up in the U.K. through the BBC iPlayer has been a “significant part” of the Top Gear audience for years, with episodes of the shows often ranking among the most popular programs available through the service. Historically, he said, episodes on iPlayer achieve about a third of the total audience volume. Gray said that reputation is expected to remain unchanged as the show readies for launch with a new host, Chris Evans, in charge. Production on the latest incarnation of the program is currently underway and is slated to contain 16 episodes. Evans’ co-presenters for the series have yet to be announced. In June, the BBC replaced former Top Gear presenter Jeremy Clarkson with Evans following a highly publicized fracas. The pubcaster revealed a month later that Pett Television founder Lisa Clark had been tapped to exec produce the rebooted program. Meanwhile, Clarkson, co-presenters James May and Richard Hammond and executive producer Andy Wilman signed a deal with VOD platform Amazon Prime in July to develop a new car series.